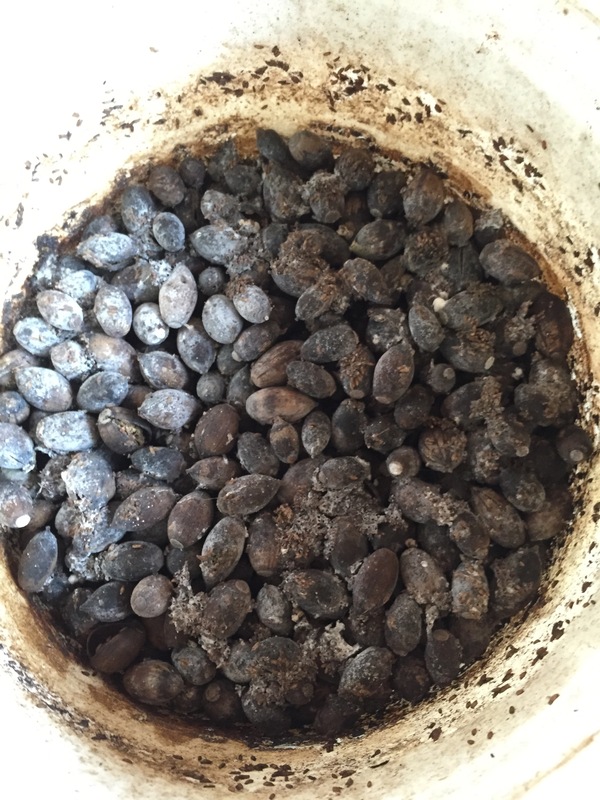 Because I can…I have local oak galls, acorns and walnuts (imported from the wilds of West Chester, PA) to choose from to use for tannins for cotton dye prep. Here they are in their form of waiting in the wings till needed. 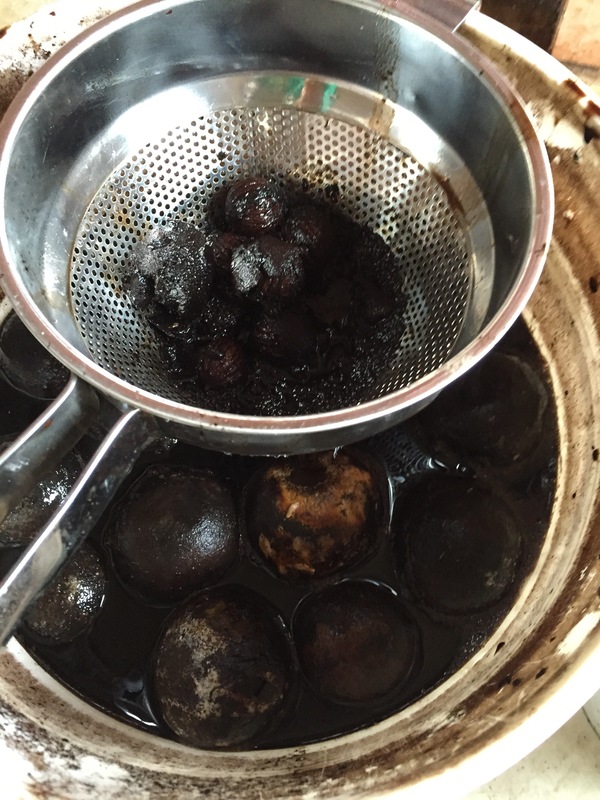 Walnuts in their slimy & stinky form after a year soaking with the newer walnuts carried here by Marge from West Chester, Pa.
And the ancient acorns from about two years ago…..whose mold I will not inflict upon anyone but myself! 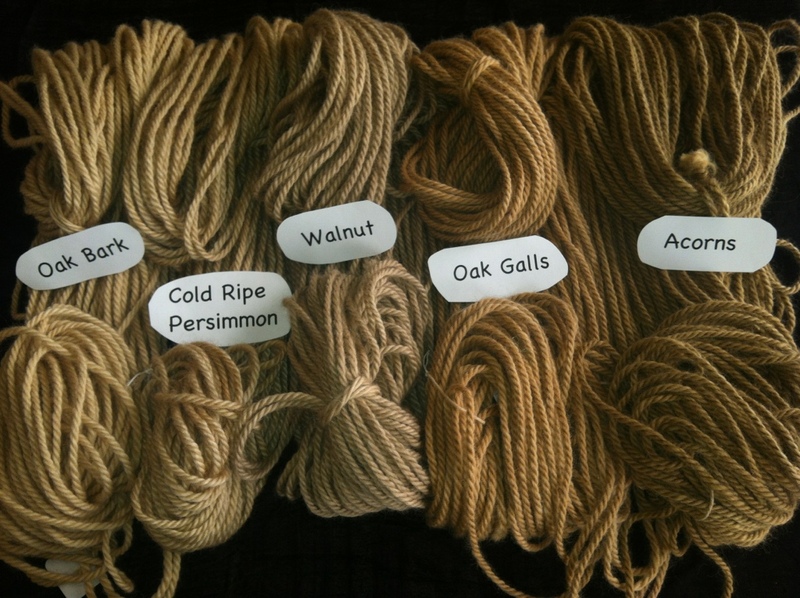 Testing between the walnut and the oak galls I get a dark tone & a yellow tone. And the oak galls push yellow red. 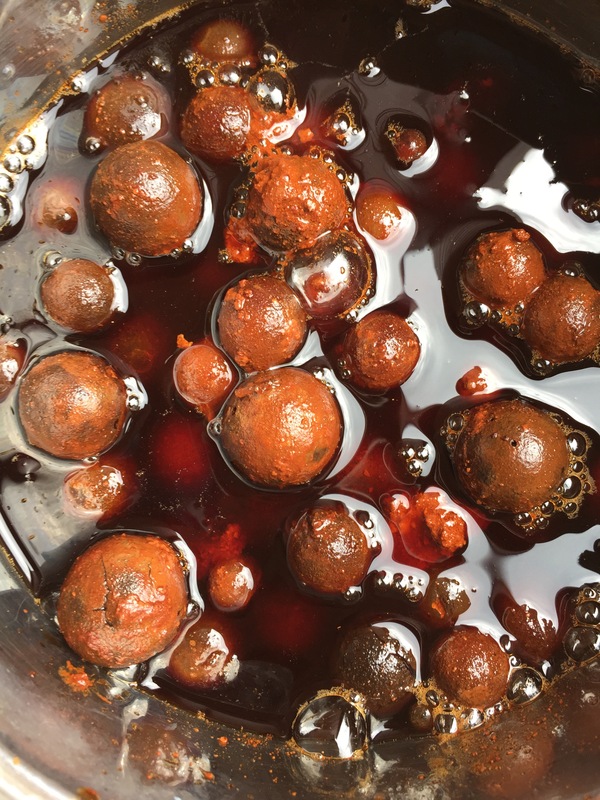 Oak galls are the recommendation by several authors. I will use them in conjuction with alum acetate and a chalk dunging. I believe with dilution the cotton will shift to a beige color. 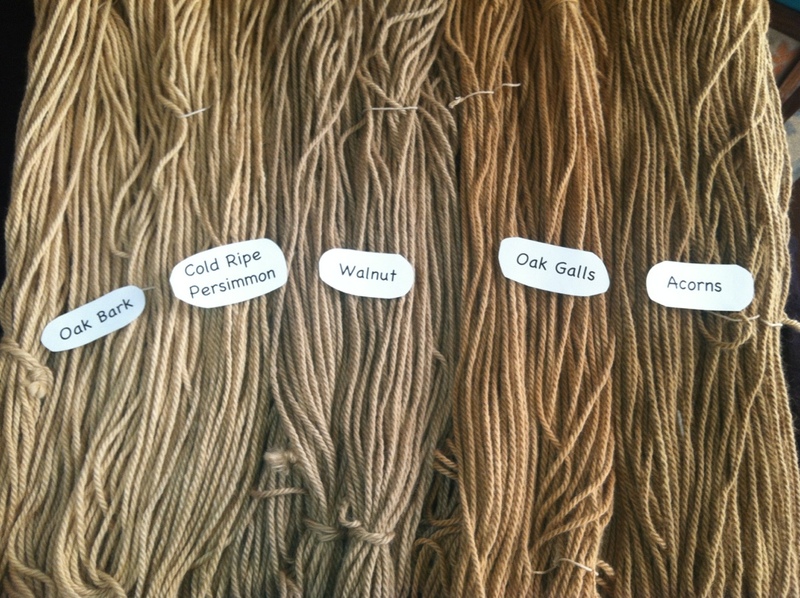 Since different skeins will be overdyed with madder, persimmon and indigo I am not concerned about the mordant undertone. The tannin’s impact will be minimal on the final colors. 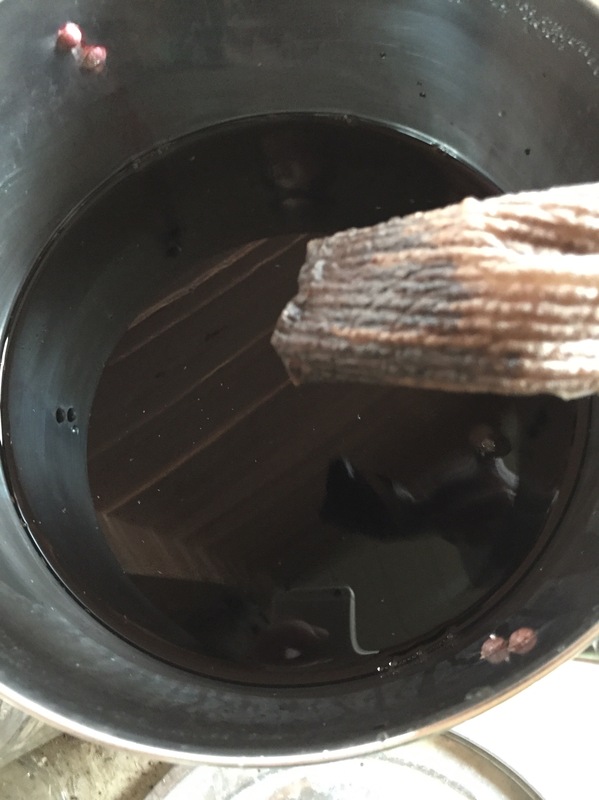 The goal is to get the tannin in play on the fibers so they play nice with the alum acetate, the dunging and the final dye baths. 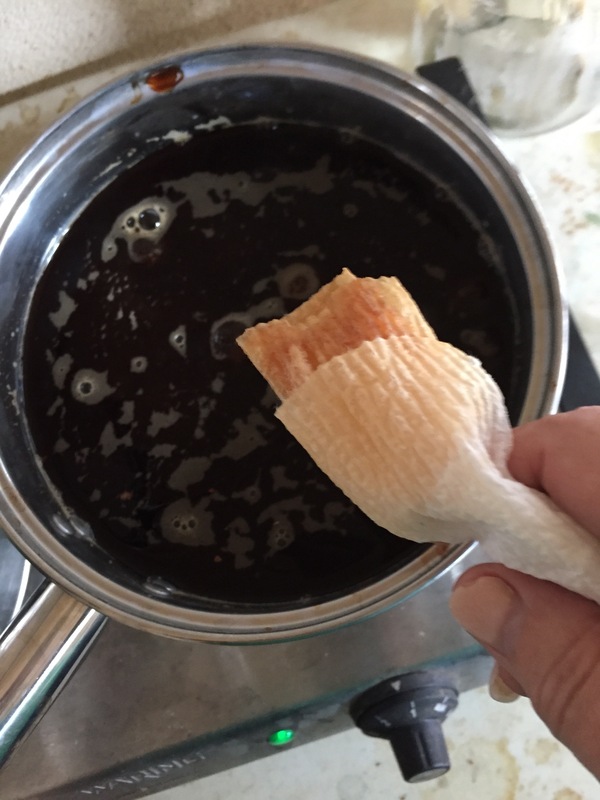 So, in the meantime I’ve been soaking some tannin material for use on my rug wool. Some of these have been soaking since last year. We had a great crop of acorns a year ago. Those have been fermenting away. I’ve collected many oak galls during my lichen gathering over the past two years. Those have been soaking in 8 oz jars, it’s all about the pickle jars and how much they can hold! We lost an oak to the drought and the woodpeckers & raccoons thoughtfully stripped the bark for me. Friends north of here, both in Texas, Colorado and Pennsylvania have gifted med with various species of walnuts. My favorite color is the oak gall. I am prepping for a much larger dye run in the next batch. It will make a beautiful neutral with the lichen rose & garnet tones. I am starting to visualize a rug series based on a water motif using the colors from my valley. It is tough to capture the different tannin tones. 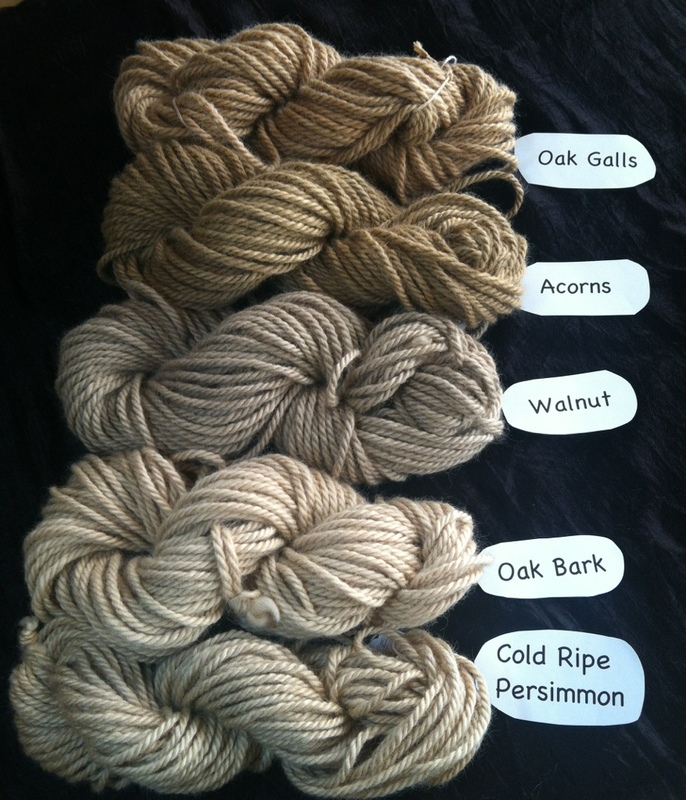 In summary, I would describe them as acorn-golden tones, oak bark-silver brown, oak gall-rose brown, and walnut-light brown. Walnut will get redipped to push darker and I think the others will get an iron modifier to see how dark they go.